Johannesburg - Duane Vermeulen’s early departure for home as per what Stormers coach Allister Coetzee has called a plan hatched long ago will bring Nizaam Carr back into the Cape team’s starting mix for the remaining matches of their Vodacom Super Rugby tour of Australasia. According to the supersport.com website, the Stormers re-crossed the Tasman Sea at the weekend licking their wounds after a second successive tour defeat, and their third loss in a row. The fact that some refereeing calls were a factor in their 25-20 loss will not have helped matters, and neither would the sight of skipper Vermeulen heading towards the international departures lounge as the rest of the players prepared to travel into Sydney. Vermeulen is to be rested for the last two weeks of the tour as per the agreement struck between the South African Rugby Union and franchise chief executives. Of course, the rest doesn’t have to happen now as the Springbok No 8 has already had one week of rest and was only due to sit out again four weeks from now, but the Stormers management are obviously being strategic and targeting their run of matches on South African soil as the time when they make their move for the conference title. Their hopes of topping the conference were done no harm over the Easter Weekend. While they only picked up a bonus point in their defeat to the Hurricanes, it was more than the Cell C Sharks managed against the Crusaders, and no less than what the Vodacom Bulls did against the Emirates Lions in Johannesburg. There are just two points separating the two front-runners, the Bulls and Sharks, from the Stormers and the Lions, but the key factor to take into consideration is that the Lions have already toured and the Stormers are now halfway through their tour while the Bulls and Sharks have yet to travel. The Sharks have also played one more game than the other teams. The Stormers, given their defensive deficiencies at the back, may be up against it when they play the Waratahs in Sydney on Saturday, particularly if the Waratahs manage to win possession against an impressive Stormers pack that has dominated most opponents this season. 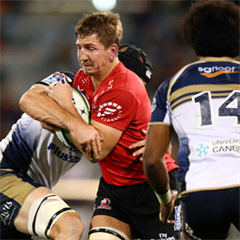 However, they will be confident that they can win against the Western Force in their last overseas game the following week. According to Stormers scrumhalf Nic Groom, who was talking to the Cape rugby media via teleconference call from the team’s base in Sydney, the team is confident that Carr, who became a Springbok last year, will be able to fill the gap left by Vermeulen over the next fortnight. “Any team will be worse off for losing Duane Vermeulen and we will definitely miss what he brings to the side,” said Groom. Carr hasn’t been in great form this season, possibly because he started the rugby year late after being in hospital with a mystery virus for nearly a fortnight. He doesn’t have the physicality he boasted in the 2014 Super Rugby season, where admittedly he had bulked up because he knew he was going to fill the openside flank role where abrasiveness was a bigger requirement than linking ability. However, with two matches in a row beckoning in his preferred position of No 8, Carr’s linking skills could just be what the Stormers require to twist the key and provide the dynamic that has been missing from the team’s attacking game this year. Although much has been made of the Stormers’ switch of emphasis to a more attacking outlook, that has not been translated into reality, with the team having scored just 13 tries across seven games and so far a try scoring bonus point has been elusive. By contrast, the Stormers have conceded 15 tries across all the games, and 11 in three games against Kiwi teams, an indication that the lower emphasis on their once renowned defensive system has taken them backwards. Clearly the Stormers miss their former defensive coach Jacques Nienaber, who took up a position with Saru this year after feeling he had philosophical differences with the direction the Stormers were going, and the sooner they employ a new specialist the defence coach the better. 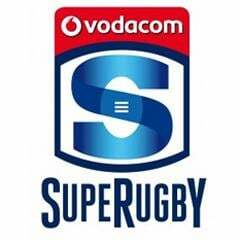 But in the meantime the Stormers can offset the defensive weaknesses if they at least start to create something on attack, and Carr can bring the missing ingredient, provided he regains his old confidence. That confidence is something that coach Allister Coetzee and his assistants would have been working hard at while the Stormers have been on tour so we may well see the old Carr back against the Waratahs. The loss of Vermeulen could have complications for the leadership as Juan de Jongh, who led the side when the regular captain was absent for the opening tour match against the Highlanders, is nursing a calf injury that kept him out of the Hurricanes clash. Also on the injured list is wing Kobus van Wyk, thus necessitating a call to the big centre/wing Pat Howard. Regardless of whether Van Wyk plays or not, perhaps Howard should be considered for a role in the Waratahs game as he possesses the bulk that is so glaringly lacking from the back three otherwise and which is contributing the defensive frailties at the back.